Now you tell me: what do I need to read? This entry was posted in etc. 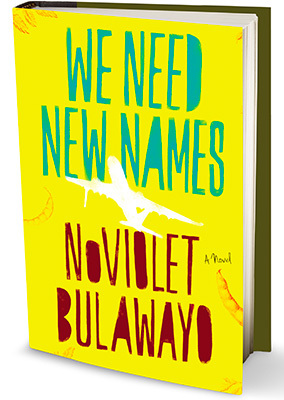 and tagged blogs, books, Chris Pavone, Expat Eye, Fred Cook, Improvise, Linda, NoViolet Bulawayo, reading, The Accident, We Need New Names on April 22, 2014 by onechicklette. How to Be a Woman by Caitlin Moran. I’m halfway through and LOVING every moment of it. Snarky, funny, and brutally honest. Noted. Thanks for chiming in! I just finished Wool by (I think) Hugh Howley. It was amazing. And thank you for the recommendation of We Need New Names. I was a fan of Little Bee, so it sounds like I would be very interested in this one.